You know how great you feel when you sit in a garden or take a stroll through the park? Imagine how wonderful it would be if you could bring that feeling into the workplace. It’s not just about how you feel, a bit of nature in an office can boost productivity. This new concept called ‘biophilic design’ is helping offices reconnect with nature. 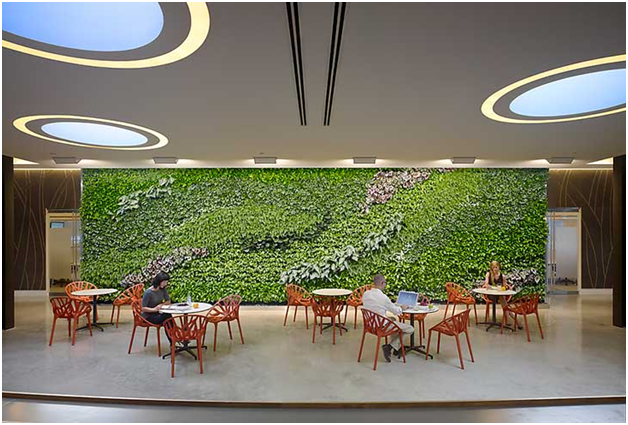 Biophilic office design is a kick-back against the sterile, artificial design that has been popular in recent years. It is all about bringing elements of nature back into the workplace. The research shows that it works! According to Sir Cary Cooper, CBE, professor of organisational psychology and health at Manchester Business School at the University of Manchester, workers are no longer happy with no views and artificial lighting. He reports a study that he conducted which found that well-being increased by 15 percent and productivity by six percent when natural elements were introduced into the workplace. Creativity was increased by 15 percent. When office fit out companies such as https://mobiusatwork.co.uk/ introduce plants and other natural elements into a workspace, the results are impressive. The presence of plants makes employees feel happier and they are more productive. When there are plants in an office, the levels of collaboration increase and this has implications for improved project management and team working. Higher levels of memory retention have also been reported and overall, workers stayed more engaged when they were working, which means that tasks get completed on time and to a high standard. Humans feel more relaxed when there are plants in the office and this cuts down on stress which will ultimately reduce the number of sick days. It’s no wonder that productivity increases! Introducing plants into an office, for example, in a ‘green wall’, has physical health benefits. The plants can absorb many pollutants from the air and so reduce their impact on human health. 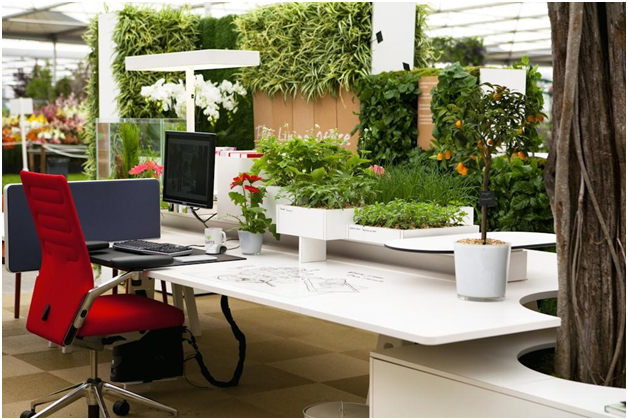 Plants give off oxygen and this makes the inside environment feel fresher and leaves workers feeling more invigorated. Plants also absorb sound energy so noise does not reverberate around the room and is less distracting. Their cooling effect in the summer can cut down on air-conditioning bills.